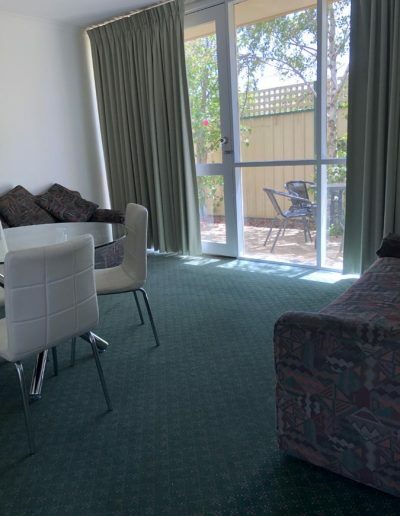 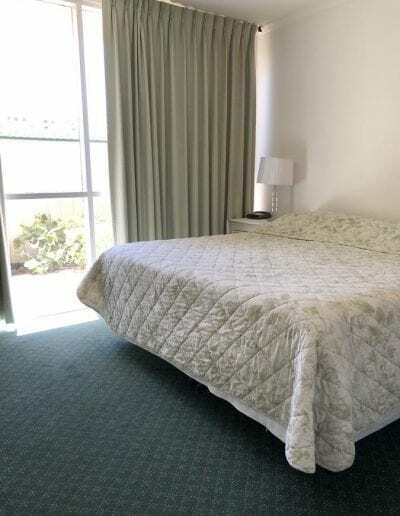 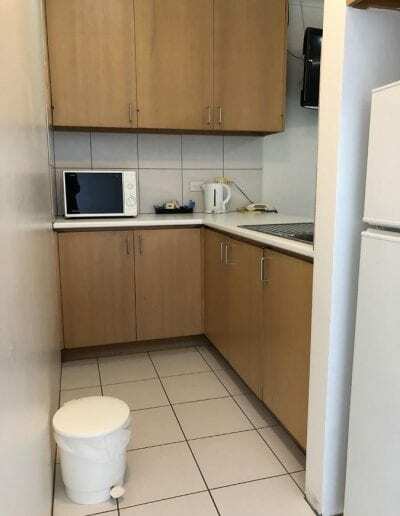 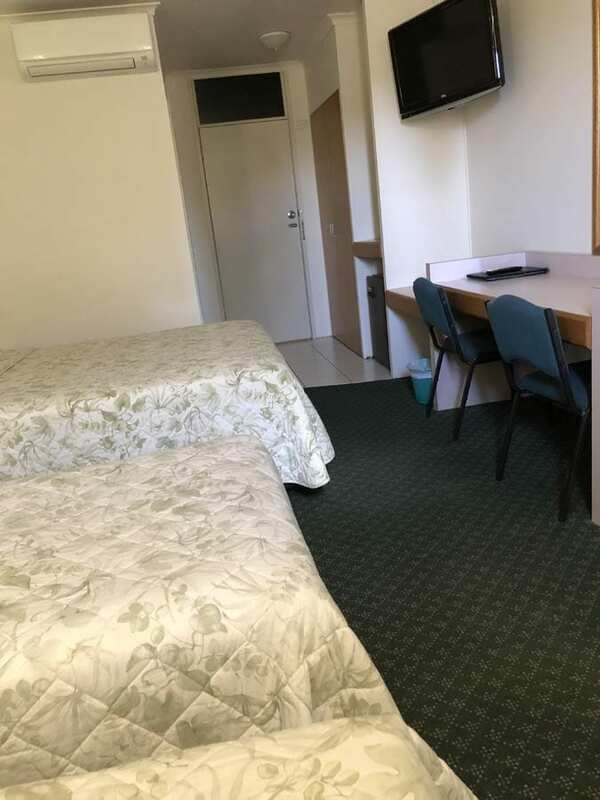 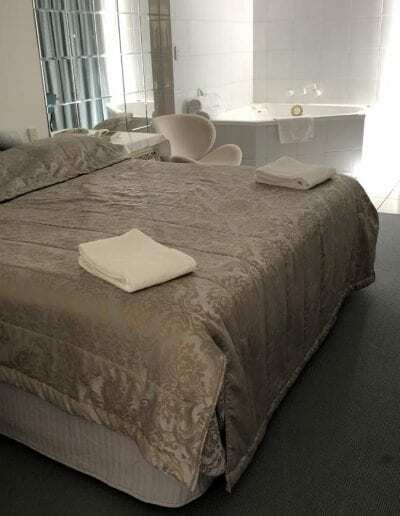 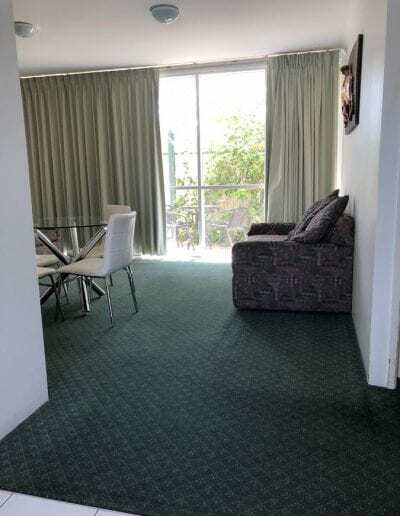 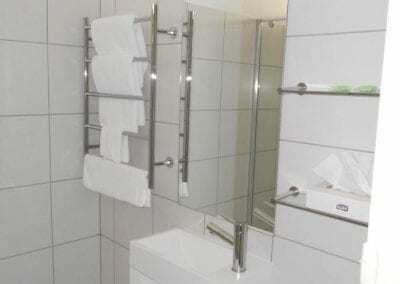 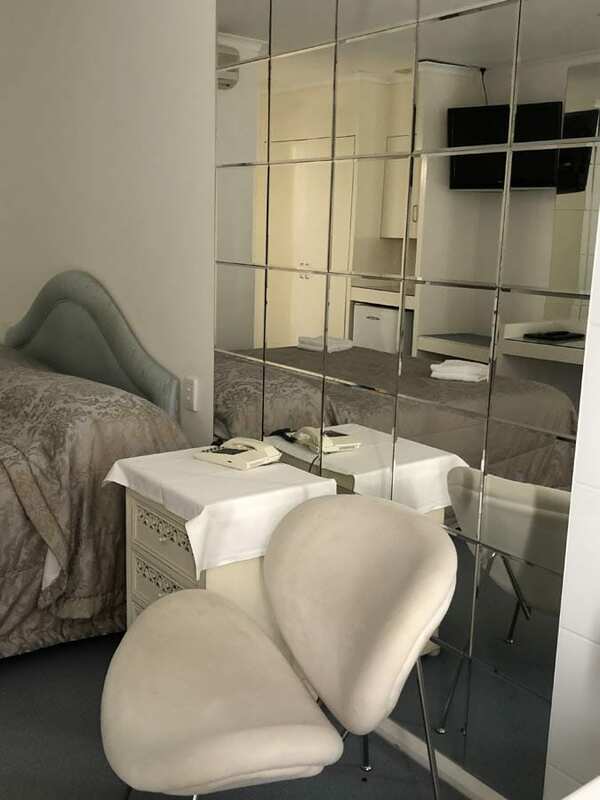 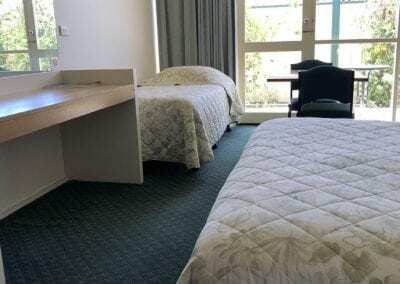 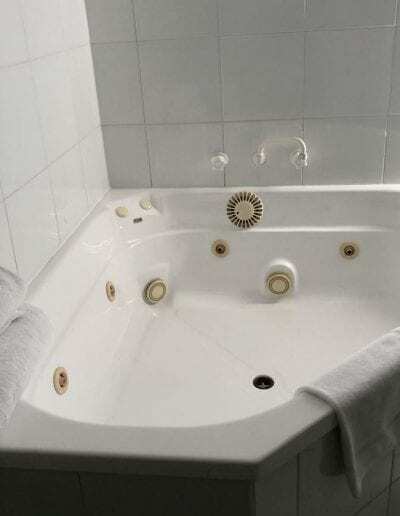 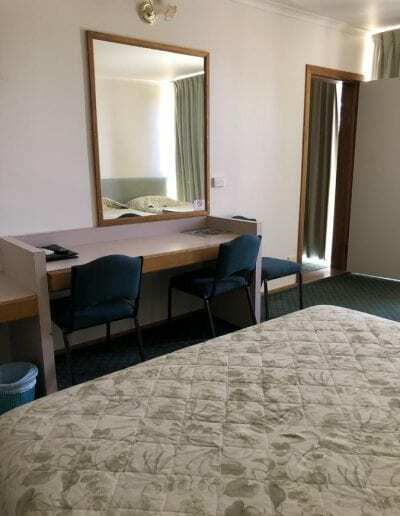 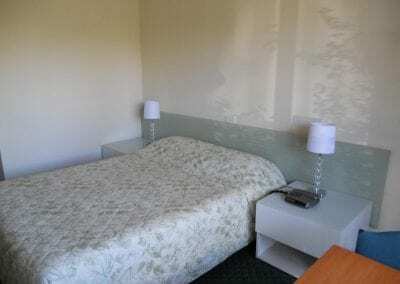 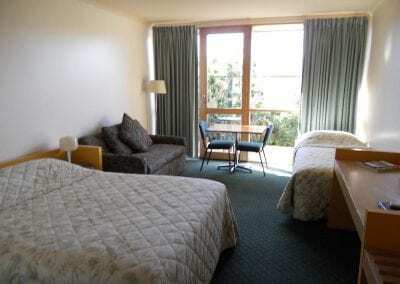 The Cottonwood Motor Inn’s Mildura accommodation offers 31 fully furnished units and apartments with reverse cycle air-conditioning, all located on the ground level. The Executive Queen at Cottonwood Motor Inn feature Queen size beds, air conditioning, table & chairs, walk-in shower and courtyard. 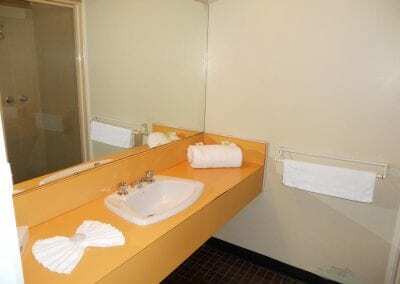 Guests can also enjoy the LCD TV, complimentary Wi-Fi. 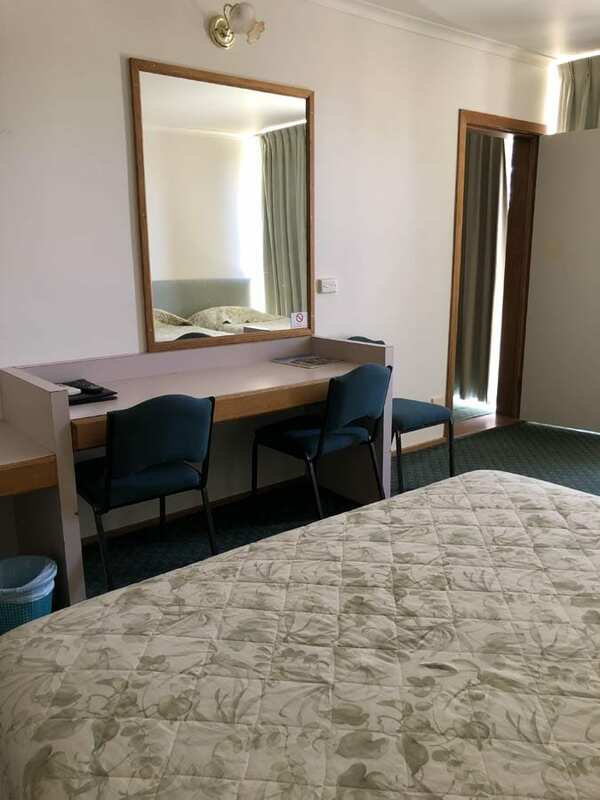 All Executive Rooms are located at the ground floor of the motel with complimentary parking. 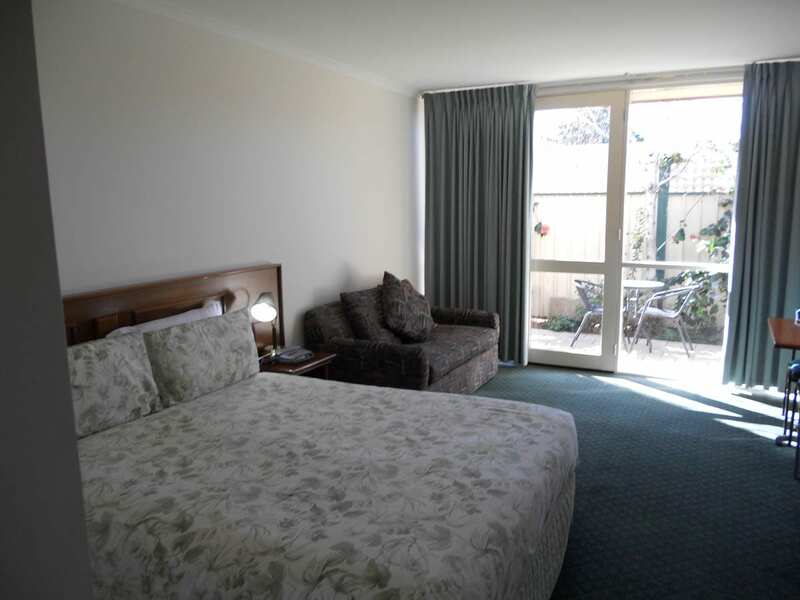 The Twin Deluxe Room is spacious and features a queen size bed and a single bed. 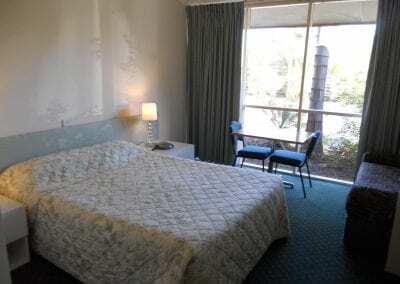 The room provides an LCD TV, complimentary Wi-Fi. 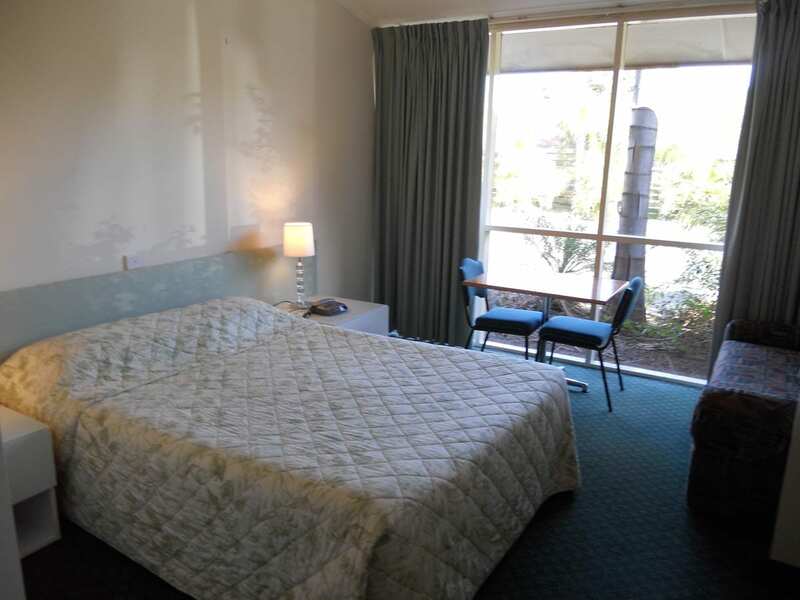 Guests can relax in the comfort of air conditioning, a walk-in shower and sofa. 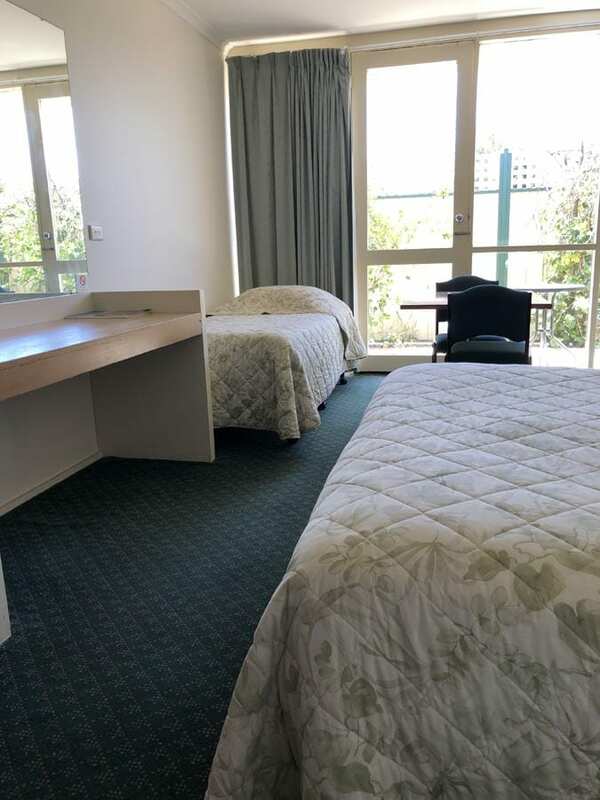 The room also features opening windows and free on-site parking. 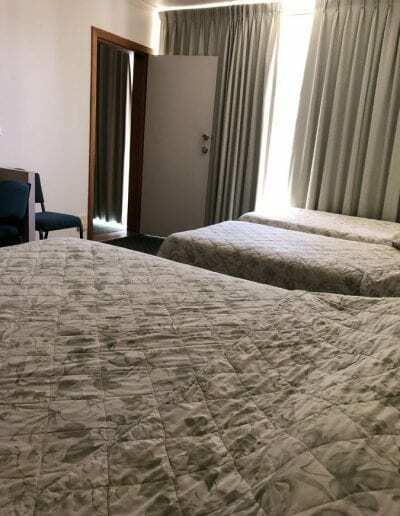 All Twin Deluxe Rooms at the Cottonwood Motor Inn are located on the ground floor and comes with complimentary parking. 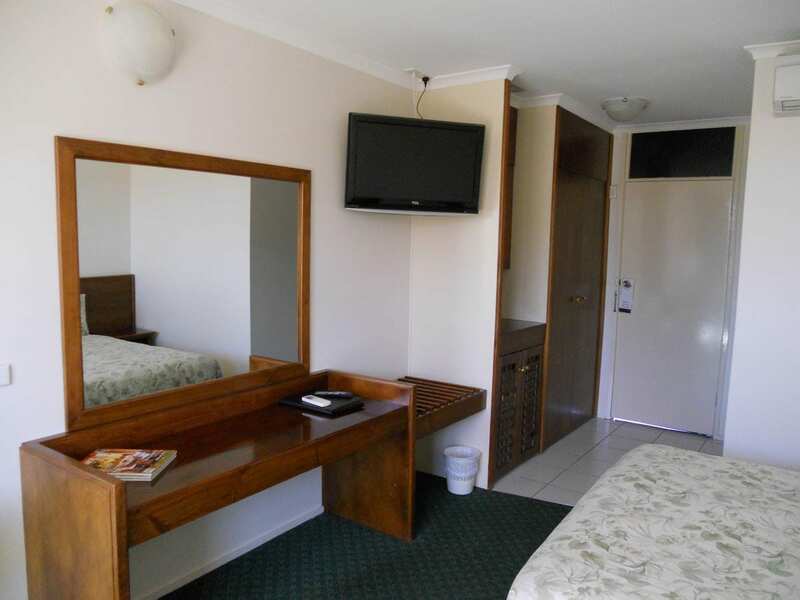 The standard queen Rooms on the ground floor feature a queen sized bed, air conditioning, walk-in shower, LCD TV and table & chairs. 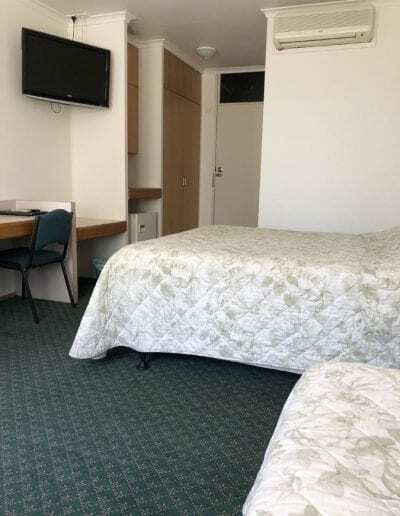 The rooms also offer opening windows, free Wi-Fi. 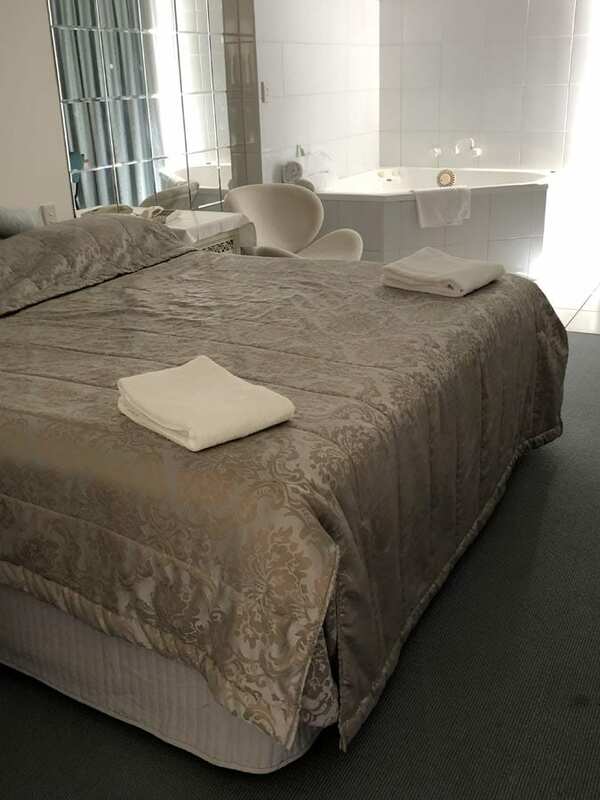 The King Spa Suite comes complete with a King size bed and a large oval shaped spa. 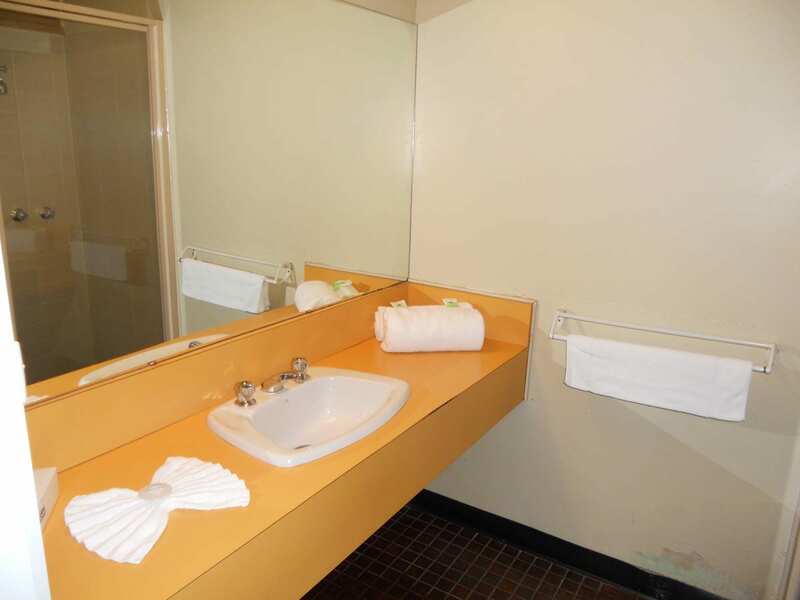 In addition, the room also includes free Wi-Fi, air conditioning, a walk-in shower and table & chairs. 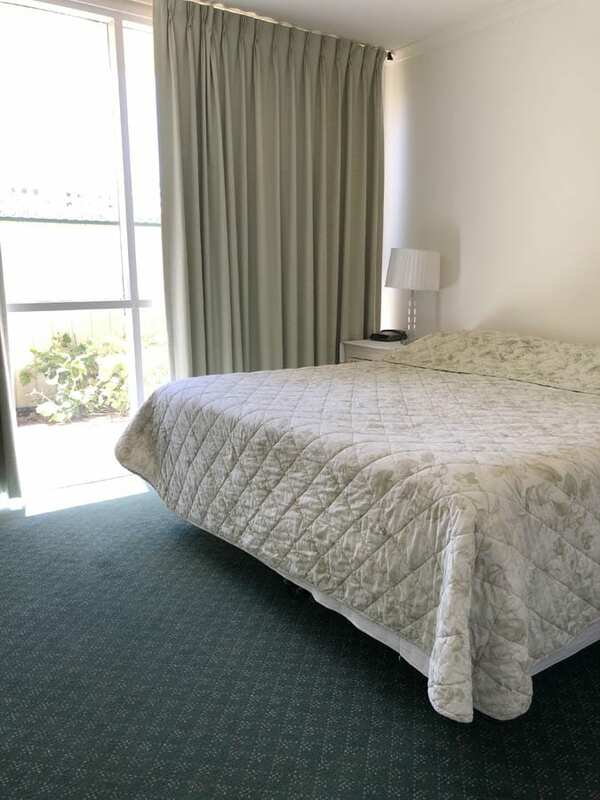 The King Spa Suite also features opening windows if you love a gentle breeze. 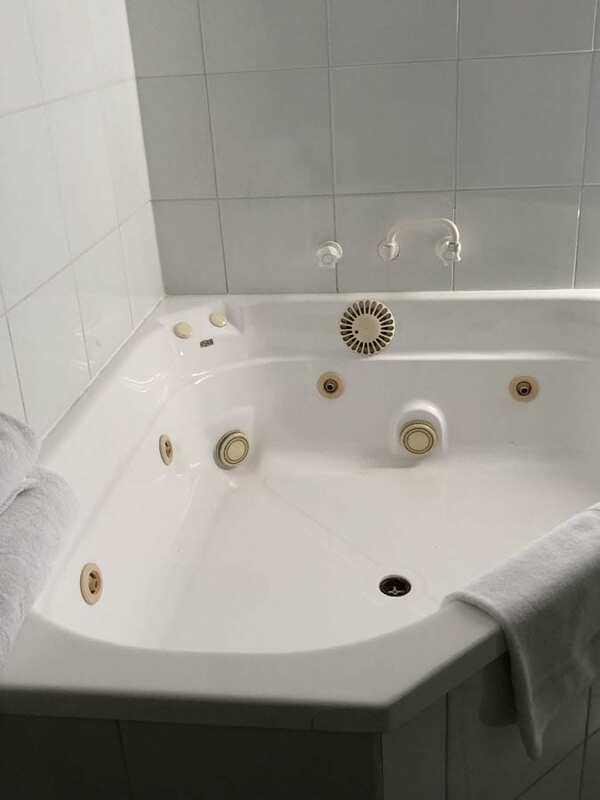 All the King Spa Suites are located on the ground floor with complimentary parking. The Interconnecting Rooms features with 2 rooms which included 2 queen size beds, 3 single bed and a sofa bed. 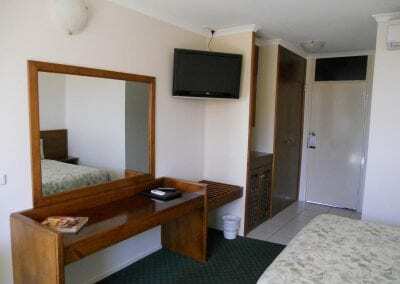 The room provides an LCD TV, complimentary Wi-Fi and 2 bathrooms. 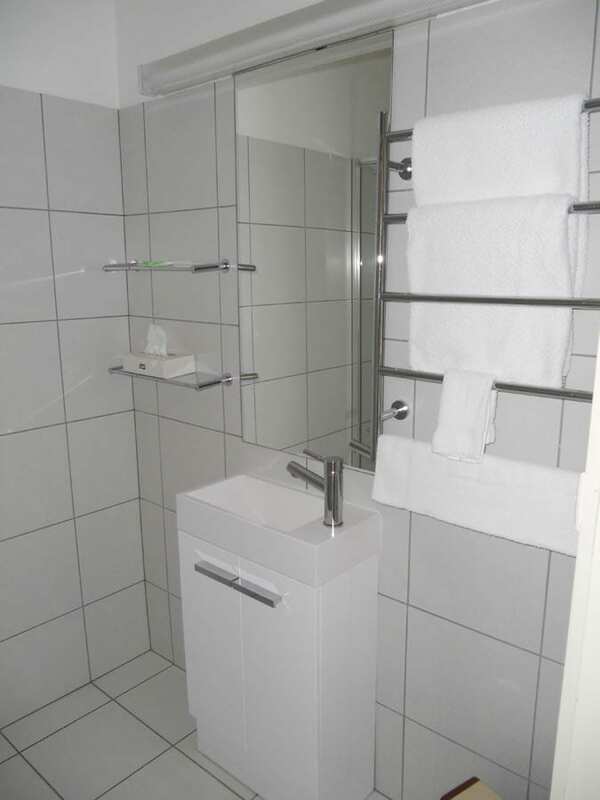 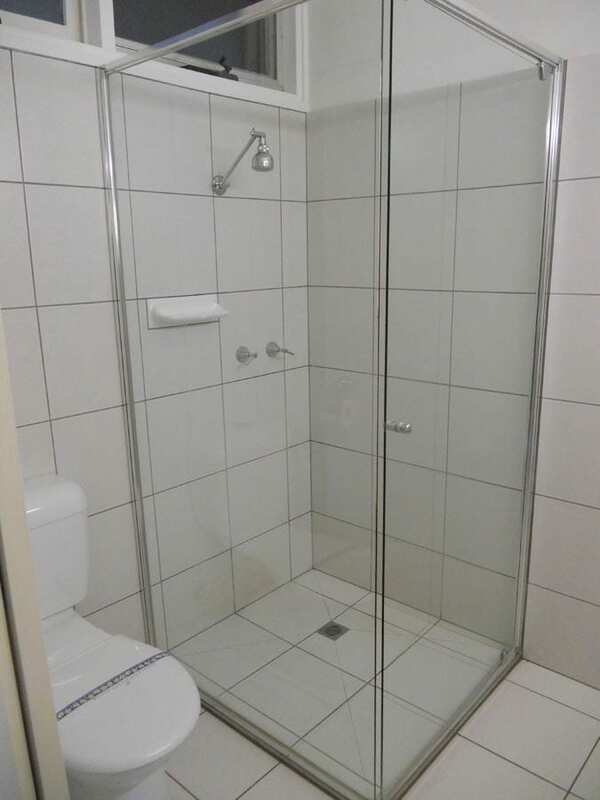 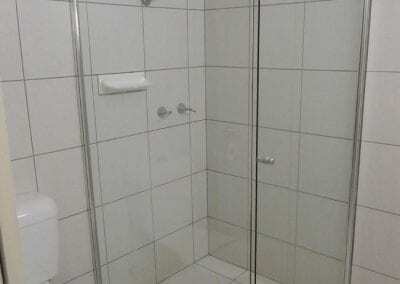 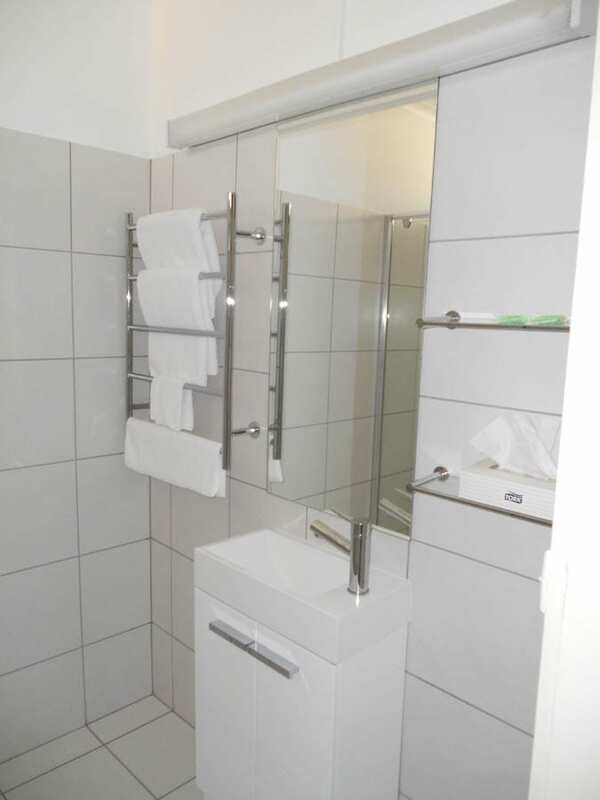 Visitors can relax in the comfort of air conditioning, a walk-in shower. 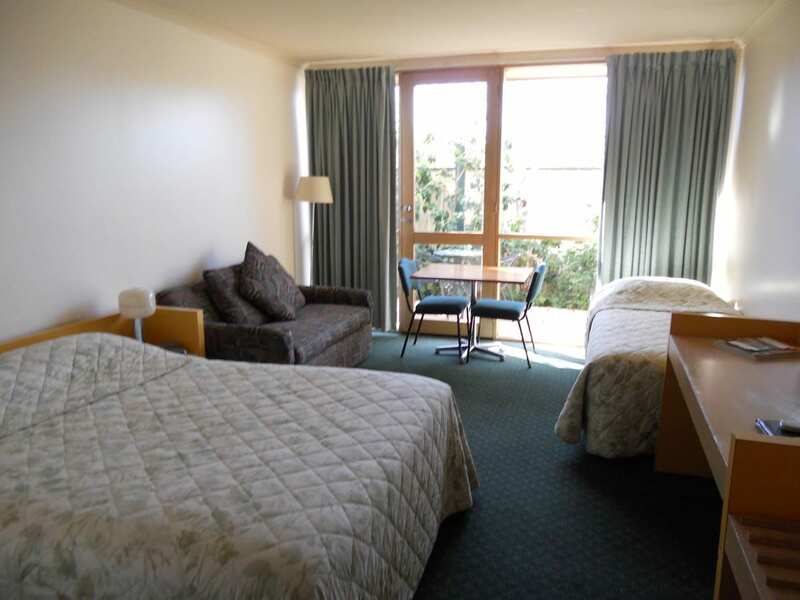 The room also features opening windows and free on-site parking. 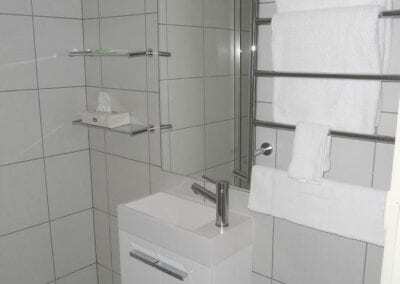 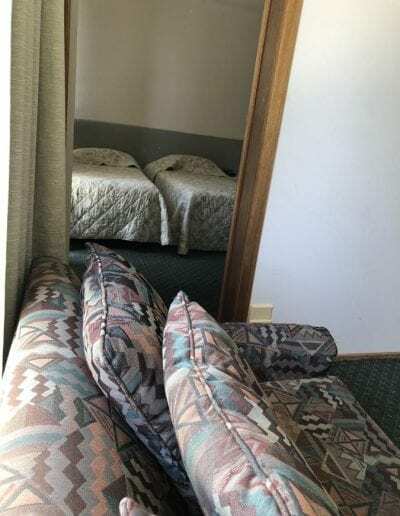 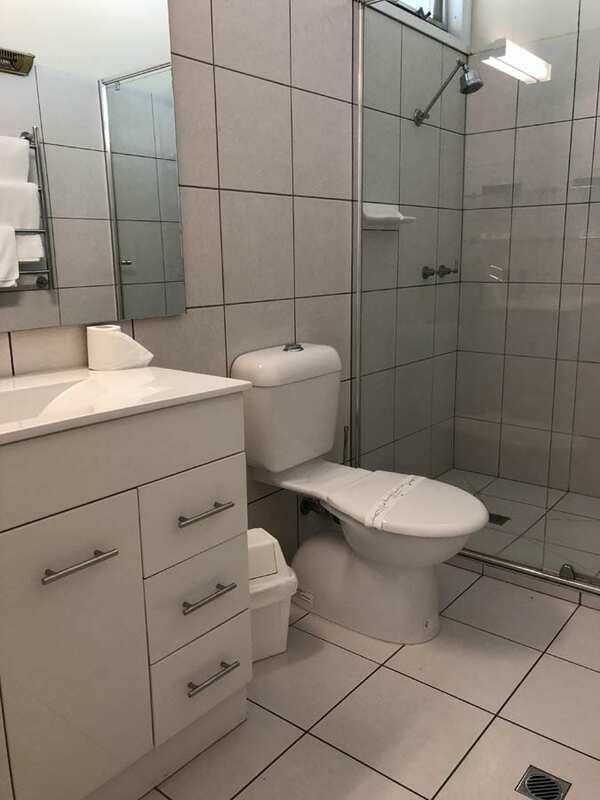 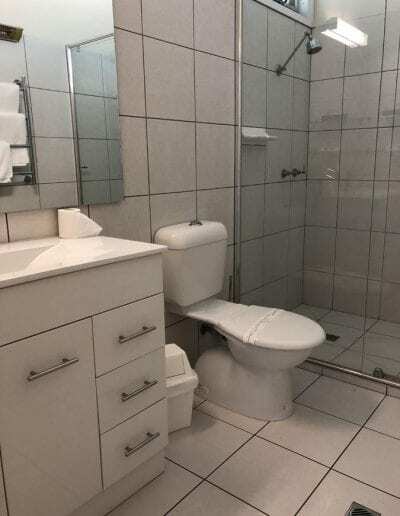 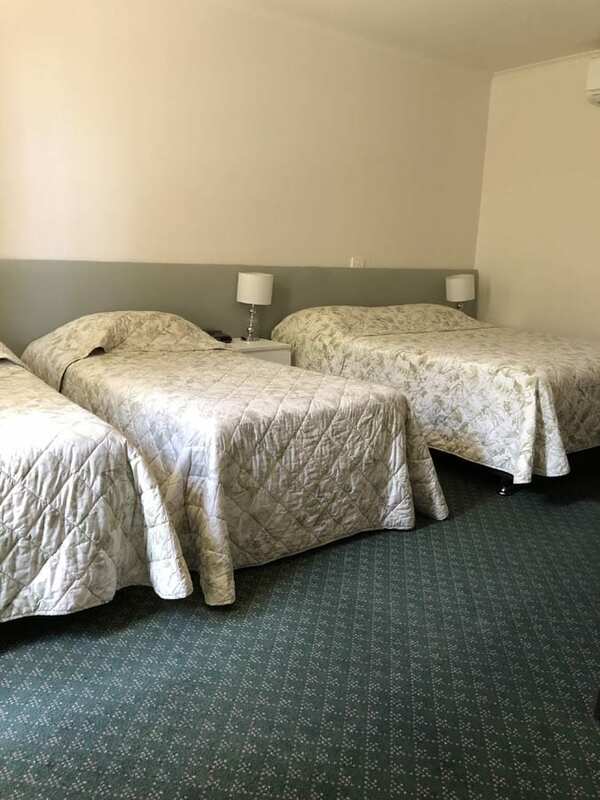 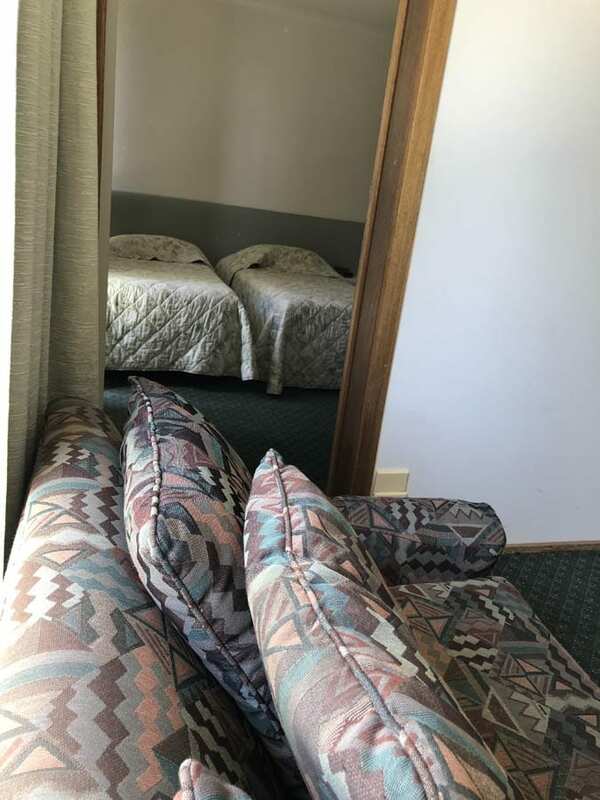 The interconnecting Rooms at Cottonwood Motor Inn are located on the ground floor and comes with complimentary parking. 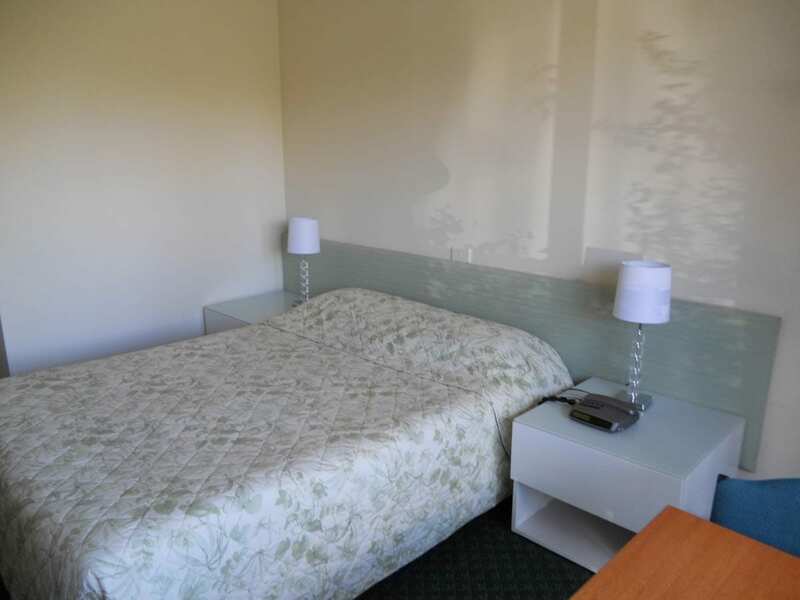 Our 2 Bedroom apartments offer comfortable accommodation with 2 separate bedrooms. 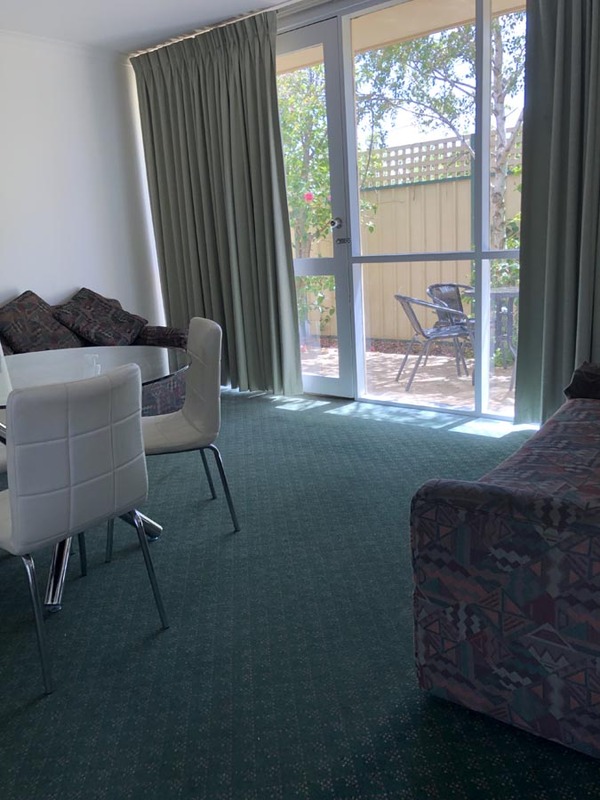 The lounge area is spacious with 2 sofa beds and comfortable with access to the courtyard . 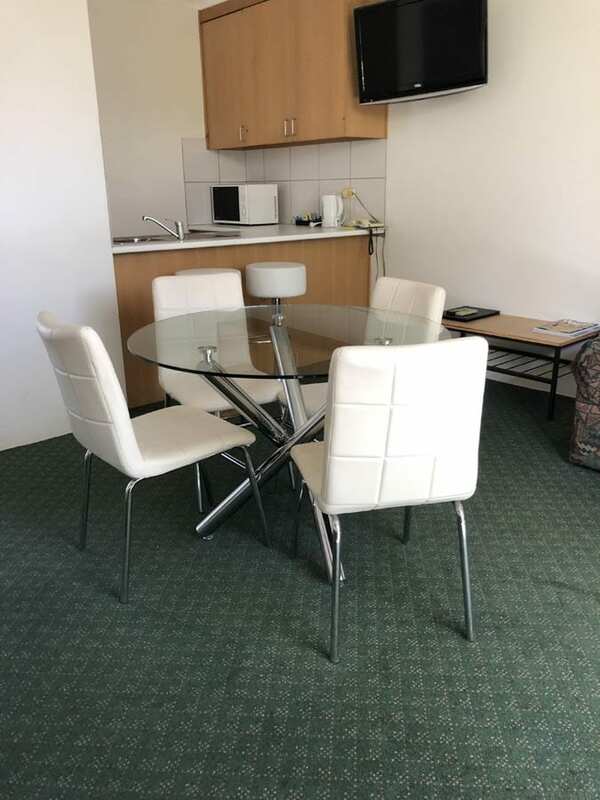 The apartments feature individual air conditioning, complimentary Wi-Fi and kitchenette facilities. All 2 Bedroom Apartments are located on the ground floor where you can easily access your vehicle.